The Chairman of the Senate Committee on Senate Services, Senator Ibrahim Gobir, gave the clarification on Tuesday during a meeting in Abuja. He told reporters that the Senate decided to purchase only 36 cars which cost about 36.5 million Naira each due to lack of funds. “I will like to say that the issue that we bought 108 cars is wrong. chairman and we gave one car to each state to share among themselves as utility car. “The issue of the cost of the car. The showroom price is 36.5 million Naira and we are surprised. 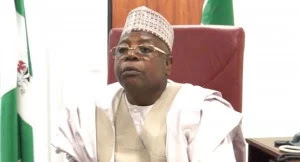 The car we bought is Land Cruiser VSR V8 not V6 and the minimum showroom price is about 31 million Naira and when you put 10 per cent VAT and Tax that will arrive at 36.5 million Naira,” Senator Gobir explained. Going by the figures given by Senator Gobir the 36 cars cost about 1.3 billion Naira. There were reports on Monday on the purported purchase of 108 cars by the Senate, with the Nigeria Labour Congress urging the lawmakers to return the cars or face its wrath. The NLC President, Mr Ayuba Wabba, was quoted by This Day as saying that the purchase of the cars was “wrong and insensitive” in the face of the suffering of the masses. “We consider as appalling, insensitive and greedy the decision of the Senate to acquire 108 Toyota Land Cruiser vehicles (one for each member, except the Senate president) after collecting ‘car loans’ in August last year for the same purpose. “It is equally morally despicable and shameful that they are doing this after publicly admitting that the standing committees of the Senate are unable to perform their statutory functions due to the paucity of funds,”Mr Wabba said.